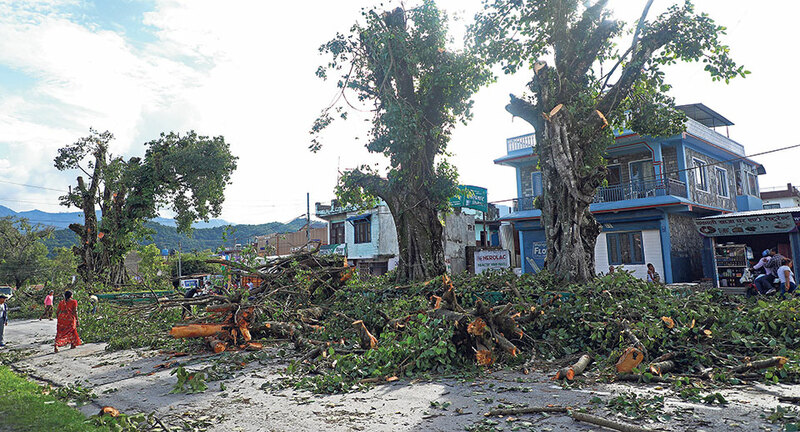 POKHARA, July 18: Pokhara High Court on Tuesday issued an interim order to the concerned government authorities to stop rampant chopping of old trees in the city. 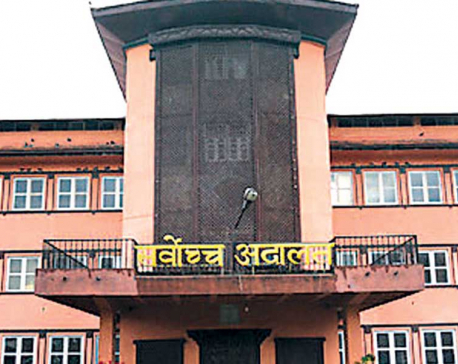 A single bench Judge Bal Chandra Sharma gave the order after a writ petition was filed at the high court against Lekhnath Municipality and its mayor. Judge Sharma has ordered the mayor to stop illegal chopping of trees and present himself before the court within 15 days. Senior advocates Tilak Parajuli, Bishwo Ghimire, Bhupnidhi Panta and advocate Bhagwati Pahari debated on behalf of the petitioner. The civil society had expressed its disappointment after the municipality started felling trees in the name of chopping branches. Kedar Baral, forest official of Kaski informed that the Department of Environment, local administration, survey office with the coordination of the District Forest Office, Kaski had made the decision to chop the old trees citing various reasons. According to him, forest officials were told to chop some trees as they were posing problems in the expansion of road and sewer. "As those trees were near the human settlements, they had also threatened the safety of locals during heavy rainfall and wind," he added. Nirmal Singh Bhandari, environment officer of the metropolis, informed that currently 16 such trees from Ratnachowk to Rastra Bank are being chopped.